We all want to look and feel our best as we get older, but it’s hard. When we work too much, don’t eat right, or don’t get enough sleep— we feel run down and we start to look and feel even older than our age.To battle the signs of aging, we turn to serums and creams, but the latest trend is to tackle the effects of aging from the inside out. Leading scientists are studying a way to increase levels of an essential molecule in our bodies called NAD. Tru Niagen is a breakthrough supplement clinically proven to increase your n-a-d levels. Here’s how it works. NAD is a coenzyme found in every living cell. When our n-a-d levels are low, our cells won’t function at their best – and neither will we. After 40, NAD levels plummet by up to 50 percent! Add in the stress of daily life, sun exposure, or just drinking too much, and n-a-d levels drop even more! But Tru Niagen can help. It’s a nutrient known as an n-a-d precursor. Precursors are like building blocks – and the one in Tru Niagen is the best n-a-d precursor on the market. It promotes cellular repair to help us counteract damage that accumulates with stress and time. 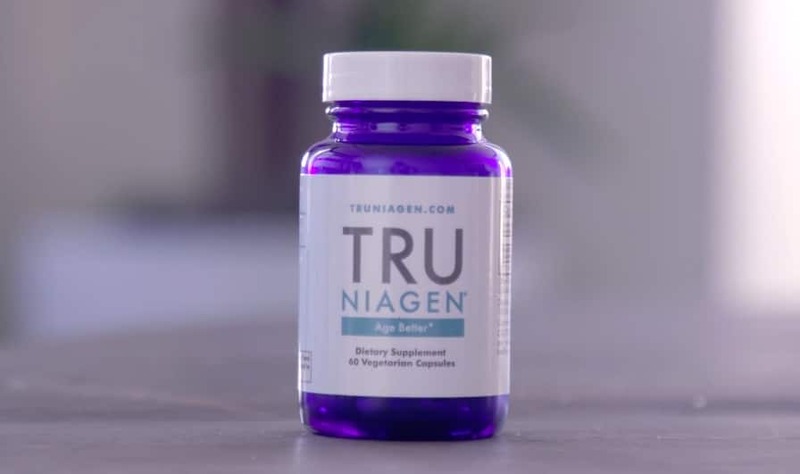 If you are feeling the effects of aging, or just general exhaustion from daily life, Tru Niagen can help you stay energized so you can feel your best again. Ready to learn more about Tru Niagen? Go to TruNiagen.com or check out Tru Niagen on Facebook, Twitter or Instagram. Age is just a number so live better and feel better with Tru Niagen.